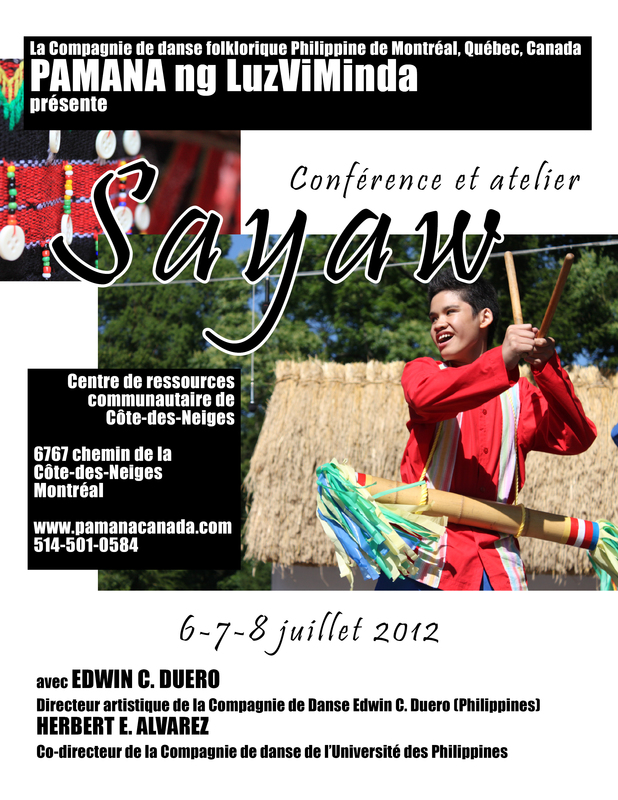 A special initiative by PAMANA took place at 6767 chemin de la Cote-des-Neiges, Montreal, Quebec on July 6-7-8, of 2012. 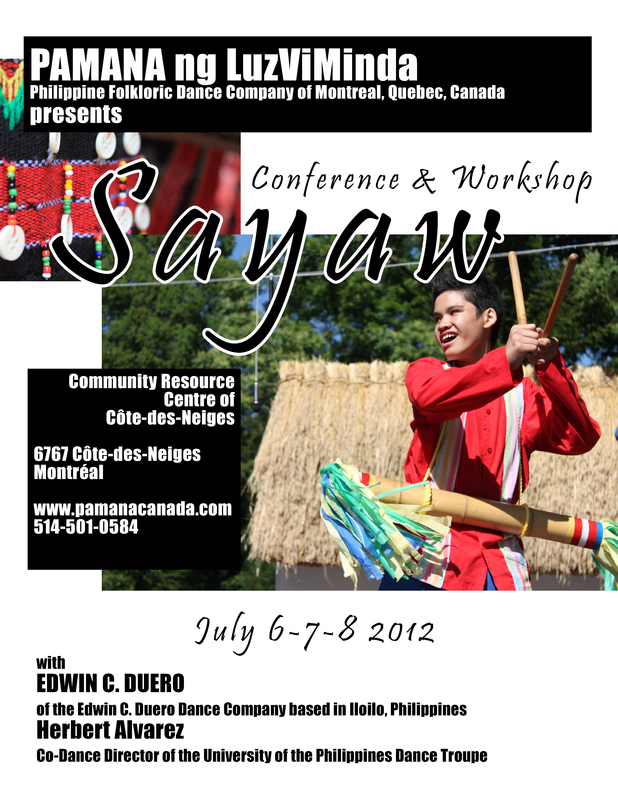 PAMANA ng LuzViMinda hosted a 3-day conference and workshop headlined by Edwin C. Duero of ECD Dance Company in Iloilo. Mr. Duero is a nationally recognized master of Philippine folk dance and has been mentoring the leaders and dancers of PAMANA since 2008, offering his extensive knowledge into authentic Filipino dances and songs. PAMANA would like to introduce Mr. Duero to the Filipino community. Workshop was a success! Thank you all for your participation!